If you’re dreading the inevitable day your New Year’s resolutions—to lose weight, get a better job, and drink less, perhaps?—fall flat, it might be because you need different resolutions. Instead of focusing on outcomes, why not set your sights on process this year? 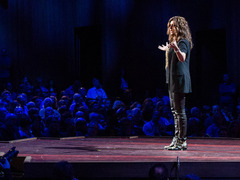 Here, 10 resolutions inspired by TED Talks. They just might inspire you in turn. Resolution #1: Make time to make art. 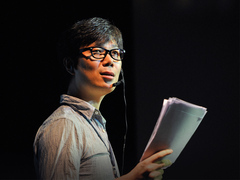 “There are hundreds of reasons why we can’t be artists right now,” says Korean author Young-ha Kim—that is, all the reasons we invent when we’re too scared or intimidated. But, Kim reminds us, “We are all born artists.” Unleash those suppressed artistic impulses: take an acting class, buy some paint, or just sit with a notebook and write like crazy. Resolution #2: Take charge of your love life. 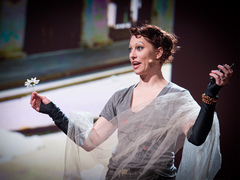 Amy Webb finds the saying “true love will find you when you least expect it” nonsensical. Why wait around rather than go after what you want? 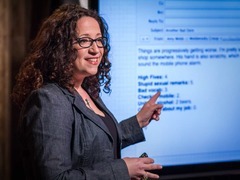 In her own search for a husband, Webb tossed this saying out the window and approached online dating with a data-driven strategy—and a clear goal. She got it. Resolution #3: Walk more, sit less. We sit even more than we sleep, and it’s terrible for our health. So for 2014, make a commitment to getting up: schedule walking meetings and get-togethers, use a treadmill desk, or work standing up. At least part of the time. Resolution #4: Practice gratefulness daily. 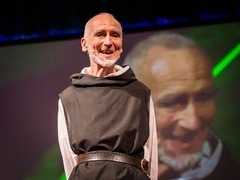 Benedictine monk David Steindl-Rast explains that gratefulness is our path to happiness, and that all it takes is a shift in perspective: stop what you’re doing, open yourself up to the opportunities around you, and act on them. Do this as much as you can, even if it means writing yourself reminders and posting them all over your apartment. Resolution #5: Ask for what you want. In a talk about her career as an alt-rock performer, Palmer describes the community of fans she’s created by asking for favors, and how much of her career rests on this simple act. You won’t get everything you ask for, of course—but you won’t get anything you don’t ask for. Resolution #6: Allow yourself time to meet your goals. 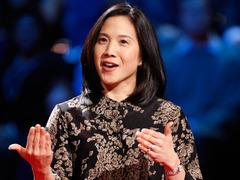 “Grit is passion and perseverance for very long-term goals,” psychologist Angela Lee Duckworth says. “Grit is living life like a marathon, not a sprint.” Grit is also essential for success. If you expect to meet your goals immediately and give up when you don’t, you’ll probably be giving up a lot. But if you expect setbacks and can give your goals some breathing room, you have a much better shot. Resolution #7: See your fears as an act of the imagination. David Steindl-Rast (see Resolution #4) says everything is an opportunity. Fear is no exception. 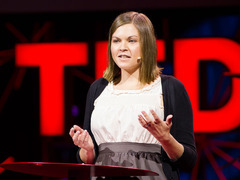 In this talk, novelist Karen Thompson Walker explains that fear doesn’t need to be something we conquer and fight. “What if we thought of fear as an amazing act of the imagination?” she asks. To fear something, we have to first create it in our minds, out of nothing—that is, fear involves writing a story. Resolution #8: Read books that challenge your perspective and beliefs. Lisa Bu explains the huge shift in perspective that reading prompted, and explains books’ formative role in her life. 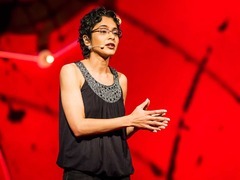 “Books have given me a magic portal to connect with people from the past and present,” she says. Don’t just stick to what you know: read outside the box. Resolution #9: Make your stress work for you instead of against you. 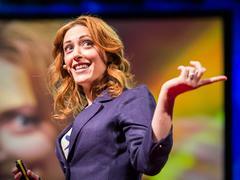 Psychologist Kelly McGonigal explains that it isn’t stress itself that’s bad for you—it’s believing that stress is bad for you. Reframing your stress as helpful for your performance actually changes your physiological response. Resolution #10: Take breaks from your devices. My 2013 sucked donkey balls. In a ‘the only way is up’ kind of way. Rewatching these will hopefully inspire me rock 2014. Reblogged this on jainpratik92's Blog. Ma’am this was a good read, I liked the 10 points, well done article. As I think about my own resolutions for next year, I came across this post that has some great suggestions. Reblogged this on Distorted Eight. Instead of making superficial resolutions this year, take a look at these and become more of a complete human. I’ll work on #2, 3, 7, 8, and 10. I plan to re-watch these and do some reflecting and reevaluating, on top of the gratitude and life changes I’ve already made.